Alain Massicotte Suicide Memorial - Suicide.org! Alain Massicotte Suicide Memorial - Suicide.org! Alain Massicotte Suicide Memorial - Suicide.org! Alain Massicotte was a wonderful man who lived with his family in Montreal, Québec, Canada. He was a handsome, hard-working, caring, compassionate, and gentle man. Alain was an altruistic person who always wanted to help other people. He would always go out of his way to help anyone in need. He had a huge heart. And he was a great father. 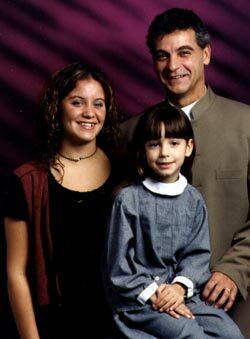 He had two wonderful daughters, Melissa and Jade, and he constantly showered them with affection. He was an extremely caring person, and always helped them with any problem that they encountered. He had an extremely close relationship with his children. Alain had numerous hobbies. He was an avid reader, enjoyed playing pool, and loved to play hockey. He also loved nature and the great outdoors, and would go to the beach or go camping with Melissa and Jade as often as possible. But his real passion in life was fishing. He would take Melissa and Jade fishing every weekend. And Joel (Melissa's wonderful husband) and their son, Thomas, would also accompany them; so the fishing trips were always a joyous occasion for the entire family. 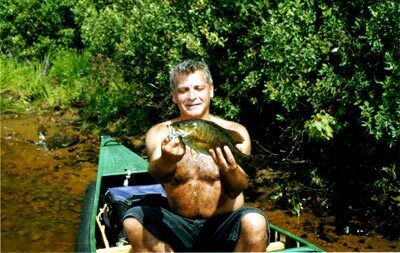 Alain was an outstanding angler and he taught his family the subtleties of fishing. But it was Alain who would always land one large fish after the other, to the delight of Melissa and Jade. Alain also had an excellent job, and he worked diligently to provide for his family. He was the director of S.A.Q. (the Société des alcools du Québec), which is a state-owned corporation responsible for the trade of alcoholic beverages in Québec. Alain was a very sensitive man, and in 1991, when he and his wife divorced, he took it very hard. He became depressed, and he attempted suicide. Alain continued to struggle with depression for the next 13 years. And on April 18, 2004, Alain hanged himself. Alain was a great person and a great father. And now he is an angel.